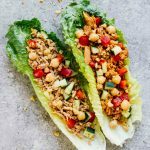 These On-The-Go Tuna Lettuce Wraps (2 Ways) are a sponsored post written by me on behalf of Bumble Bee® Seasoned Tuna Pouch with Spoon, but my love for their delicious and easy tuna is completely my own! Don’t know what to take with you for a healthy and easy work lunch? It’s the ultimate problem, isn’t it? Ok maybe not the ultimate, but it is definitely tough to get creative and mix it up when it comes to work lunch. Salad and sandwich ruts are a real problem, y’all! Introducing: The BEST ever On-The-Go Tuna Lettuce Wraps, comin’ at ya 2 different ways! These On-The-Go Tuna Lettuce Wraps (2 Ways) are perfect for taking to work for lunch! Why? Because they’re the MOST delicious, easy to put together, and loaded with goodness! TBH, lunch is always a little bit of a struggle for me because I’m right in the middle of my workday. 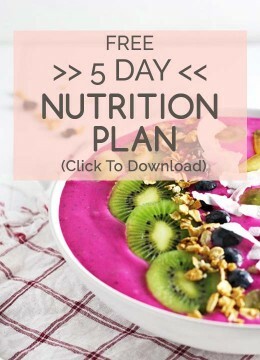 I know what I’m making for dinner, breakfast is almost always a Granola & Yogurt Bowl, but lunch? Sometimes part of a recipe, sometimes a salad, but sometimes a frozen meal or PB&J. Hey, it’s life, right? REAL life! And eating right at lunch is 50/50 for me, especially during busy seasons of life. Thankfully, these On-The-Go Tuna Lettuce Wraps are making it easier as I resolve to eat better! They’re so convenient, delicious, and are really mixing things up 😉 The best, y’all! There are so many delicious flavors of these Seasoned Tuna Pouches! Have you tried them?? They’re absolutely the best for post-workout snacks (hellllloooo, protein), afternoon snacks, and in this case, taking to work for a quick lunch on-the-go! Literally: take the spoon out, open the Seasoned Tuna Pouch, and enjoy delicious tuna straight out of the package! So convenient. For these On-The-Go Tuna Lettuce Wraps, we used the Spicy Thai Chili and Lemon & Pepper. Both added their own unique flavors and were amazing variations to the lettuce wraps! Here’s the recipe for these On-The-Go Tuna Lettuce Wraps (2 Ways)! On-The-Go Tuna Lettuce Wraps that are easy to make and perfect for a healthy lunch recipe! Combine half of the diced red pepper, diced cucumber, chickpeas, and one tuna pouch. Repeat for the second tuna pouch. This post is sponsored by Bumble Bee® Seasoned Tuna Pouch with Spoon. 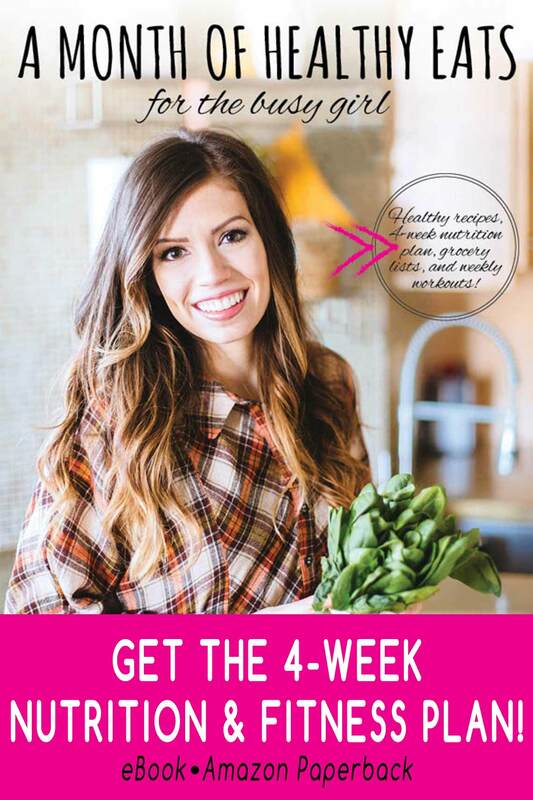 This is exactly the kind of recipe that inspires me to eat better. Looks so colorful and delicious. Love it! What a great idea for a quick lunch on the go, or a post workout snack. The protein in tuna is so handy for this! My family loves tuna salad but gets bored with the same recipe – the flavored tuna is a great idea – will have to look for them in the store! I absolutely love it! So delicious and easy! I haven’t seen these tuna packets with a spoon in my area yet. It sounds like they would also be very handy for someone taking a road trip. Hopefully they will come to your area soon! So good! I’m always on the lookout for easy delicious lunch recipes. These tuna wraps look so healthy and tasty. They would work great for school lunches too! Lettuce wraps are my favorite,specially because they are so easy to assemble. Tuna looks one of the yummy options to try next.